A simple surgery went horribly wrong. Steve Sjogren died on the operating table. He encountered a heavenly world where he felt infinite peace. And then he had to come back - back to a physical reality filled with pain and disability and an endless line of tests. The drama of dying suddenly paled in comparison to the trauma of living. Sjogren could not face this new existence with his same old comfortable understanding of God. "I had minimized God," Sjogren says. "Somehow, over time, he had become fairly predictable - like he could be outlined, fully grasped, and contained in a neat set of mere ideas. Now I saw that he apparently wasn't all that impressed with my cool little notebooks." 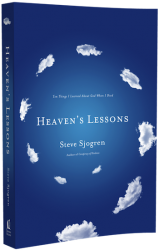 One day in heaven followed by hundreds in agony forged a deeper and stronger faith than Sjogren could have crafted on his own. 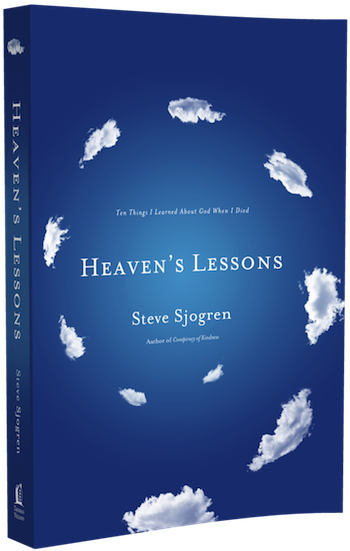 In Heaven's Lessons, Sjogren shares his experiences and the life-changing ways they have affected his perspective on success, suffering, and the mysteries of God.